“If you believe that, you, an unregenerate person, can/has come to Christ (ultimately) on your own steam (you get to make the final decision), you could find yourself in hot heavenly water, for you are the person that must also say that Christ is begging people to come to him but in most cases fails.” (Isaiah 46:9-10. That’s why you need a (respectful and reverential) kick in your Arminian pants). The above is a respectful “Reformed,” better known as Calvinist, critique of Arminianism. One of the things Calvinists are infamous for is their fanatical attention to detail: to every tot and jittle. No wonder they’re always getting things back to front. Imagine, you first have to be born again before you can have faith! You first have to be raised from spiritual death before you can be alive (enough) to make a decision for Christ! Why didn’t I stay Jewish? This is what too much noggin has done. When the Bible says in Revelation 3:20 “Keep a noggin but you can’t come in, or something like that, Calvinists protest that there is no one, not even Jesus, noggin and noggin at the door of your heart. If only there were a knob on the outside of our depraved hearts, we could lay all these irksome Arminian-Calvinist altercations to rest, and get on with loving, kinding and gentling. No more fights between Calvinists and Arminians, that is, between robots and flesh-and-blood, respectively. Too much noggin is the complaint. Too much pride, pomposity, assumptions, presumptions, presuppositions, interpretations, categorisations, ratiocinations – in short too much philosophy. Too much of man. Why not just stick to the Bible? “The sum of [the origin of sin] is briefly proposed by the apostle, Rom. v. 12, ‘ by one man sin entered into the world, and death by sin.’ Sin and death are comprehensive of all that is evil in any kind in the world. All that is morally so, is sin; all that is penally so, is death. The entrance of both into the world, was by the sin of one man, that is Adam, the common father of us all. This the philosophers knew not, and therefore knew nothing clearly of the condition of mankind in relation unto God. But two things doth the Scripture teach us concerning this entrance of sin into the world. First. The punishment that was threatened unto, and inflicted on the disobedience of Adam. Whatever there is of disorder, darkness, or confusion, in the nature of things here below; whatever is uncertain, irregular, horrid, unequal, or destructive in the universe; whatever is penal unto man, or may be so in this life, or in eternity; whatever the wrath of the holy righteous God, revealing itself from heaven, hath brought, or shall ever bring, on the works of his hands; are to be referred unto this head. Other origin of them can no man assign. I don’t care what anyone says; Owen makes me glad, I tell you glad, to be Calvinist. Not to mention his profound knowledge and understanding of Hebrew, the Targums and the Talmuds, which makes me me doubly proud – to be a Jewish Calvinist. My point is that logic, that is, orderly thought, hence orderly language, is vital. Reason is indeed insufficient but that does not mean that it is unnecessary, because the way humans learn about anything, including religion, is through language, which implies thoughts, which implies reason. Faith is not blind faith. Blind faith is when the eyes of your brain-mind are shut tight or cauterised. I defend philosophy, in its proper place. Here is one of the comments from a reader who opposes my view: “The truth learnt as a child, will be revealed in its wholeness and in season. There is no place for pompous & prideful assumptions & interpretations based on Philosophy. Philosophy is our shortfall –and this is what your categories are based on. 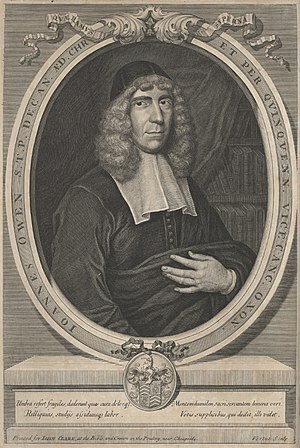 Mans own intellectual wisdom.” I quoted John Owen (above) where I put his “philosophical” in inverted commas to caricature the view that deep thought or presenting ideas in logical manner (which Owen does so well) is only something philosophers (unbelievers in my opponent’s book) do. So I quoted John Owen, who writes very well, to demonstrate that to write/ speak well you have to use your noggin (reason, logic, philosophy). But, the noggin, of course, is not sufficient to come to faith, with which Owen, or any thinking Christian, will heartily agree.